Fans of wholemeal will love our Classic Wholemeal Loaf. A great intro recipe for those new to baking, our wholemeal loaf makes homemade sandwiches extra-special. 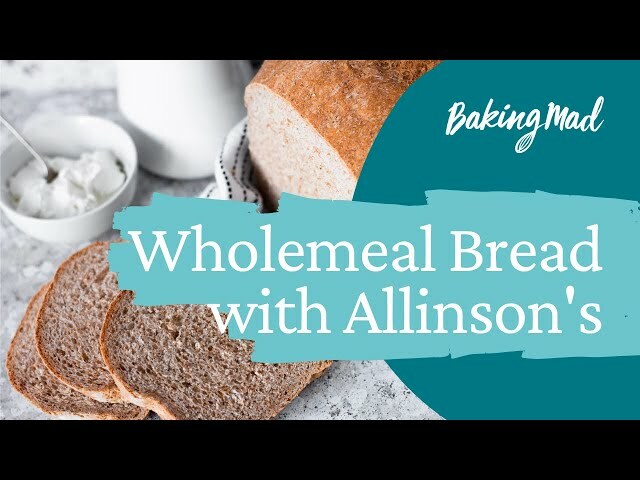 Just follow our six-step guide using Allinson wholemeal dough and share with the whole family. Fans of the Classic Wholemeal Loaf are likely to enjoy our Wholemeal Wreath Recipe, just as tasty and a beautiful centrepiece. SHAPE Knock back the dough by gently kneading just 5 times to get the air out. Mould into a smooth oval and lift into a lightly oiled 900g/2lb loaf tin. Easy to bake, i have never baked before and now i make this loaf most weekends.